As the peace process crashes and burns, so Israel isolates itself even further from the international community! As the ‘peace process’ crashes and burns (see here), so Israel simultaneously isolates itself even further from the international community through further acts of aggression towards a seemingly insignificant group of shepherds! What follows is a press release from Gush Shalom – the Israeli ‘Peace Bloc’. Israeli soldiers resorted to violence against diplomats from France and other European countries on their way to give humanitarian aid to inhabitants of a village destroyed by the IDF. Quite embarassing, just a few days after the government made a desperate plea to the European Union to relax its new guidelines , excluding Israeli organizations active in the Occupied Territories from getting European grants. Already for many years, the occupation authorities implement the most brutal policy precisely against the smallest and weakest of the Palestinian communities. Poor shepherds who live in miserable huts or in caves, at the Jordan Valley and South Hebron Hills. They want nothing but to be left alone to live their life of poverty, but the State of Israel is sending soldiers and police and bulldozers to demolish their homes and leave them without a roof over their heads. .
Those who implement this cruel policy have the illusion that no one notices and no one cares what happens in remote, out of the way spots. When the tiny village called Khirbet Makhoul was destroyed and its residents left destitute and homeless , the world did hear about it. Immediately there arrived a Red Cross delegation and after them, representatives of the European Union – from France , the UK , Spain , Ireland and also from Australia – to support the residents and bring them tents and emergency supplies. This was a clear humanitarian duty , understandable to all . Understandable to all except those who run the occupation policy, people who seem to have long since lost any vestige of moral sensitivity . 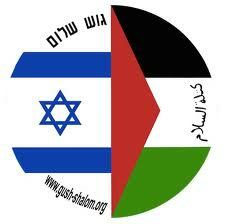 Tags: European Union, israel, israel and palestine conflict, occupation, peace, peace process, process. Filed under Israel and Palestine, israel and palestine conflict by Father Dave on Sep 21st, 2013. Comment.